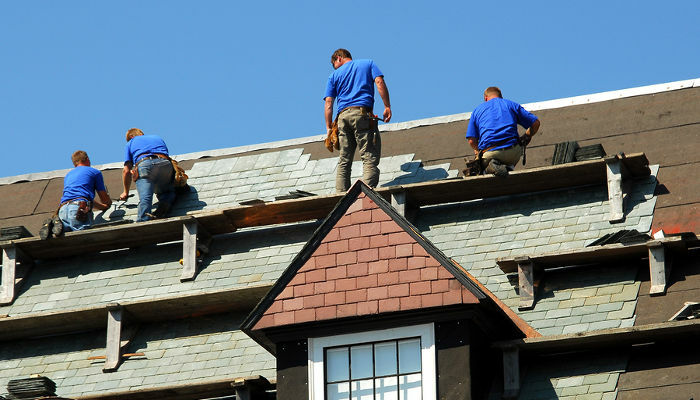 Why should you choose a skilled and experienced Roofing Contractor? Fixing your roof can be a difficult, and a dangerous job. Before you watch a few YouTube videos for tutorials, buy the material, and set to work, think through the disadvantages of redoing the making on your own roof. In some cases, turning this into your own project may have more benefits than hiring a professional, but for most, this could have negative consequences. Before setting out at least price out a roofing contractor to see if it is really worth it. You may find by the time you buy the materials and put an extensive amount of time into it, it just isn’t worth it to do yourself. To avoid getting duped and putting your household in danger, it’s advisable for you to seek licensed contractors who can provide you with all the paperwork to confirm their credibility. Depending on what field you are specialized in, you might have absolutely no knowledge of how roofing works, and what the best techniques are. Most roofing professionals spend hours upon hours working with other contractors, perfecting the skill before setting out in business on their own. They are licensed and know exactly how much material will be needed for your home. Those setting out to do this project for their own home have a tendency to either grossly over or underestimate how much material will be needed. By doing a poor job yourself, you will only be spending more money hiring somebody else to come take care of the mess you created. There is a number of unfortunate falling accidents; many resulting in extreme injury or even death. So, can you avoid these situations and be safe. In some cases, this is just fine, but when it comes to fixing the roof, this is downright dangerous. If you do choose to take on this task, be sure you have somebody there working beside you, to ensure you are safe throughout the entire process. Not only do professionals have the knowledge to get the job done right, they also have the tools needed for whatever challenges your roof may possess. Their equipment allows them to do all the repairs, and remain safe as well. If you do it right the first time, doing your own roof may save you a little bit of money, but will take an immense amount of your time. Most people don’t know what they are doing when the head up to the roof and begin the project. This only makes it more difficult. The time you spend may be for nothing if you make even the smallest mistake. For those who make a major mistake, it is then necessary to call a roofing professional, which will cost you much more in the long run. If the roofing company makes a mistake, they will come and fix the problem, usually at no extra cost to you. When you make a mistake, you are left with the disaster. So, don’t worry whenever you accept that it is better to call professional for the help then just dial number of Roofing Contractor Michigan and then leave it to them.